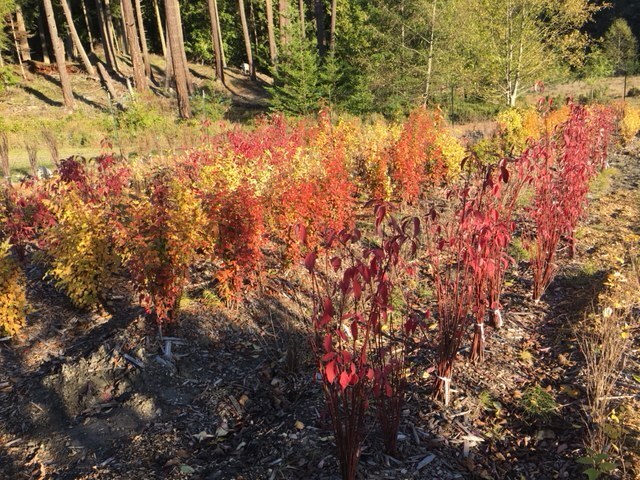 Here is a native tree nursery in its autumn finery. When these bare-root plants were rescued they were skinny brown sticks. Now they are growing amazingly well, bursting with color and life. 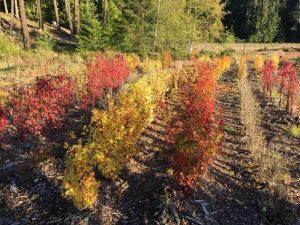 They will be transplanted by the Master Gardeners in the San Juan Islands to provide low-cost restoration throughout the islands, bringing native plant DNA to places where it has been removed. At the same time, these young trees will enrich the soils wherever they are planted for generations to come. 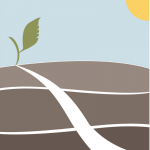 The Native Tree Farm is a program that was started by the Washington State Soil Health Committee in San Juan County. 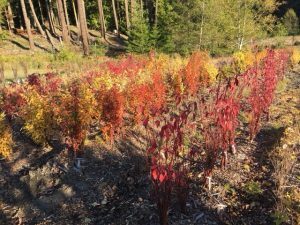 The project aims to distribute, at no cost, surplus native bare-root trees that would otherwise be destroyed at the end of the nursery season. You can read the full story on the nursery here.